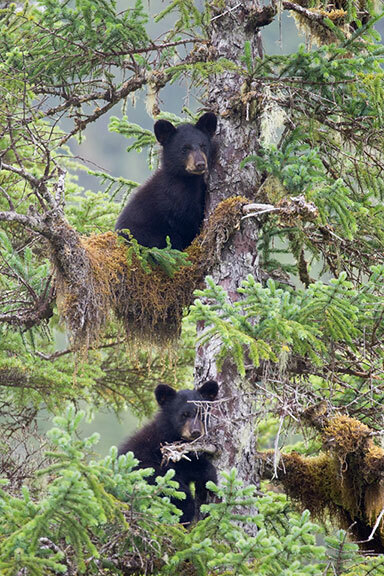 Alaska researchers were tracking a mother bear and her cubs, but never expected to capture this. 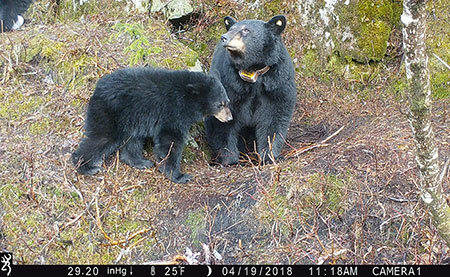 They had collared the sow and set up a motion-activated camera at their den site on a island in Prince William Sound, which was operating back on April 14, 2018, when all three will illegally killed. 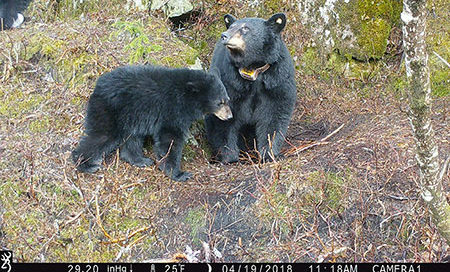 It was video from that bear study by U.S. Forest Service and Alaska Department of Fish and Game, that helped this week convict 41-year-old Andrew Renner his 18-year-old son, Owen, for poaching a denning black bear as she slept and her two newborn cubs. Assistant Attorney General Aaron Peterson told the court this was the “most egregious bear cub poaching case” his office has ever seen. “The video shows A. Renner and O. Renner skiing up to the den and then O. Renner firing two shots at the denning sow,” according to the Alaska Department of Public Safety, when charges were laid against last summer. That’s when the cubs woke up. Andrew even tossed their bodies away from the den site, officials said. The Renners butchered the sow, shoved the remains in bags and skied away, the court was told. The camera captured the pair returning on skis two days later. “They collected the cub carcasses in a small transparent bag and skied away with the poached cubs in their possession,” the attorney general said. It wasn’t until two weeks later when Andrew brought the bear skin and collar to Department of Fish and Game and lied on official forms about what happened. This week, Anchorage District Court Judge Pamela Washington convicted Andrew and Owen of eight and four counts respectively, related to the illegal kills, unlawful possession and falsifying the sealing certificate. The Attorney General urged a hefty sentence. Andrew Renner was sentenced to five months in jail with two months suspended, fined $20,000, had to forfeit his 22’ Sea Sport ocean boat and trailer, 2012 GMC Sierra pickup truck, two rifles, two handguns, two iPhones, and two sets of backcountry skis, which were used to commit the crimes. His hunting license has been taken away for 10 years. His son was given suspended jail time, community works service and is required to take a hunters safety course. His hunting license was suspended for two years. Both were ordered to pay another $1,800 restitution. Peterson hopes the stiff sentences send a message. He said Alaska will not tolerate poaching. 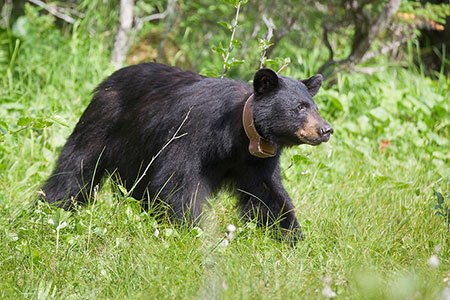 One Comment on "Jail, fines & bans for Alaska poachers who killed denning bear, cubs"
THANK YOU Attorney General Peterson! The people who poach animals either for profit or just wanton killing deserve more than just jail time in my opinion. These scum bags have no regard for life, and I’m sure wouldn’t have hesitated to kill a human had they been caught in the act by a human instead of a camera.